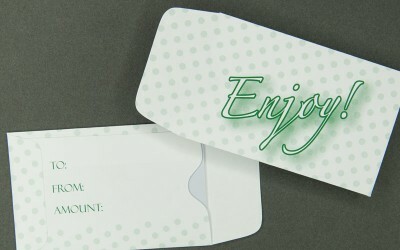 Our Enjoy gift card envelope features a green polka dot print on 24 lb white wove paper. It measures 2.375 in x 3.75 in and includes a tuckable flap and thumb cut for easy access to card. The back includes space to add your own special personalization.